*This information is taken from the Small Business Center Network (SBCN), part of the North Carolina Community College System, and full packet, entitled “How to Develop a Business Plan” can be viewed here. *This blog is Part 5 of a series on small business guidance. Stay tuned for more blogs. Check out Part 1, Part 2, Part 3, and Part 4. 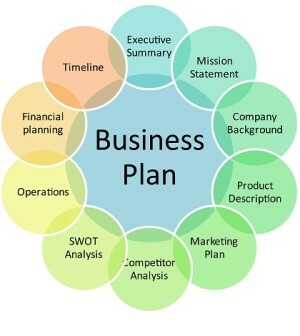 The business’s operational plan should be included in the business plan. An operational plan describes the daily operations of the business, such as its location, equipment, people, and processes. The business plan usually touches on these specific topics, but in the operational plan you will want to go into more detail about your business’s location, equipment, inventory, suppliers, etc. Production-how and where are your services or products produced? Explain the methods of production techniques, quality control, customer service, and inventory control. Location-describe your ideal location. What makes that location ideal? What are your physical requirements for the business’s location? Keep in mind any issues of zoning and/or obtaining permits. Outline your occupation expenses, including rent, maintenance, utilities, insurance, any remodeling costs, etc. Licensing requirements-do you need federal, state, county, etc. permission to start your business? Zoning-can you operate your business at a certain location? Permits-what permission do you need for that location? Inventory-such as, what kind of inventory will you keep? And, how much? Managing Accounts Receivable-how will you keep track of money due and slow payments? *Be sure to understand your ability to scale. What happens if demand is half of what you expected? What happens if demand is 2-3x what you expected? Be prepared for all scenarios. Our next blog post will feature more information to include in the business’s operational plan. Part 6 of this blog series will cover management and organization in your operational plan. Stay tuned!